I write this letter from Peru, South America, finally back on the field here, in the ministry God has given me and with the love of my life. This year has been such a great joy and blessing to me. I have been able to preach in churches across America, presenting the real and pressing need for world evangelism among the Deaf. Thank you so much, each and every one of you who has helped me along the way. Since I arrived in Peru, I have had multiple opportunities to preach and minister. Several weeks ago, I led a fifteen-year-old deaf boy to the Lord. Paul has been attending our school for a year and a half now, and as his understanding has opened, the Lord has done a work in his heart. There’s nothing like introducing a soul to the Savior! It has been quite the ordeal getting all the paperwork in order for my wedding with Zulema. For a week or so, we even thought we might have to postpone the wedding due to paperwork. Praise God everything worked out! 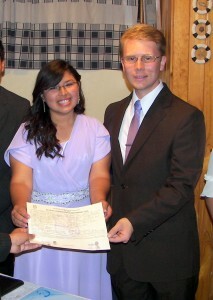 Our civil wedding ceremony and vows, required by law here in Peru, were performed on December 26th. This means Zulema and I are now legally married. Our church wedding will be as scheduled at 2pm this Saturday, January 3. We invite you to join us online http://www.Efata.org/live on our special day. There is so much to do here in ministry! 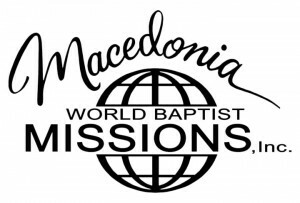 When we get back from the honeymoon in January, I will be on the job, serving as pastor for the Deaf at Efata Baptist Church and teaching in the Christian School. I will be working to see our people grow and invest in those who show potential to serve in future ministry. Please pray for our wedding plans, pray for the ministry here, and pray that God will guide and bless each step of the way. To the churches which have contacted me with promises of support, thank you so much, from both Zulema and myself. With God’s help, your support enables us to serve and minister here. Thank you for partnering with us to reach the Deaf of Peru. We do not yet have full support, but are trusting in the Lord to provide for our needs. He’s cared for us all this year, above and beyond what we could ever ask, and we know he will continue to provide. Have a wonderful New Year holiday, and may God richly bless each and every one of you!